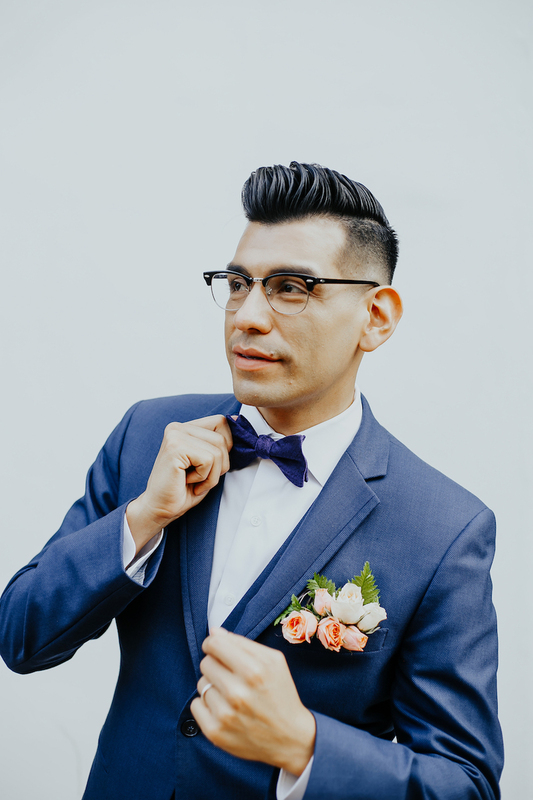 The key to adding personality to your wedding outfit — so when you walk down the aisle you look like yourself — is in the accessories. 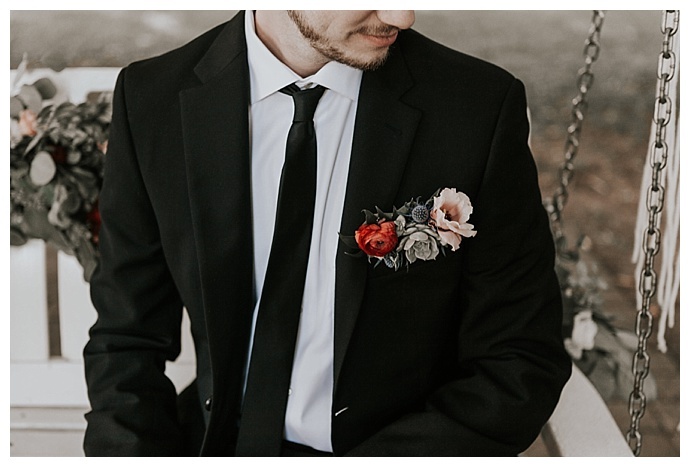 From neckties and cuff links to your shoes and wrist watch, there is no shortage of ways to personalize your aisle attire. 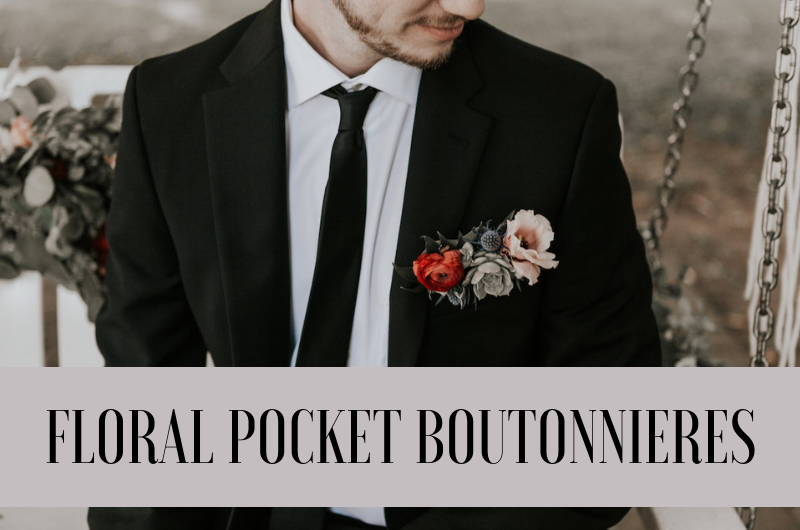 And one of our favorite accessories as of late combines two suit essentials, the pocket square and the boutonniere, into one modern statement accessory: the pocket boutonniere! 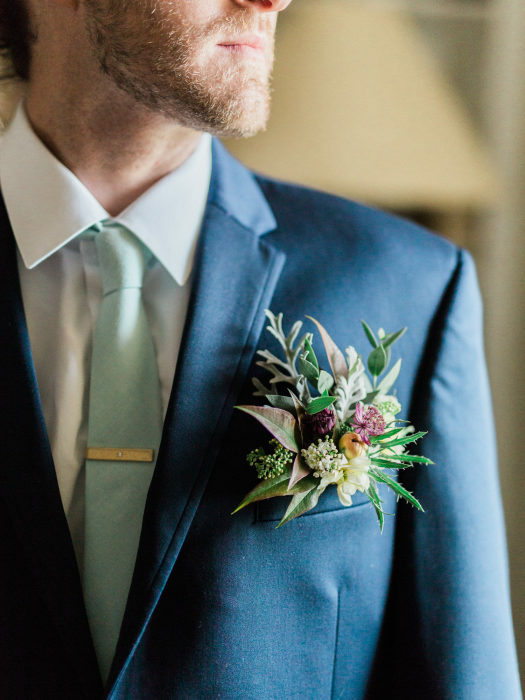 This fresh take on the lapel bout has been popping up in our feeds and in styled shoots everywhere lately and for good reason. 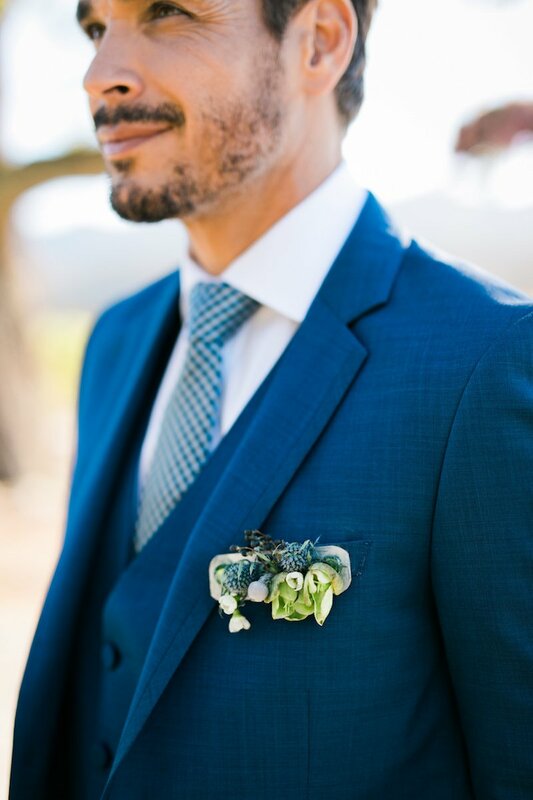 Fastening an eye-catching cluster of flowers to your jacket pocket adds a textural element and unique accessory that’s totally wedding-worthy. 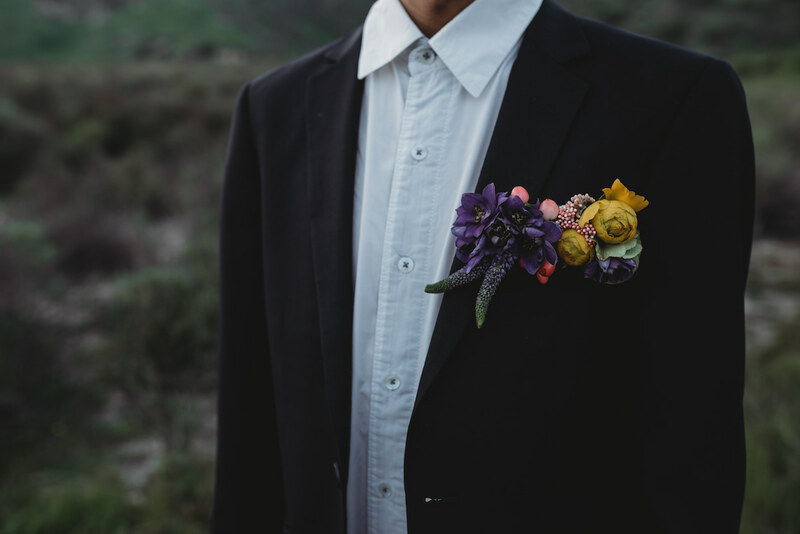 So if you’re looking for something different for your wedding look and need floral inspiration, we’ve rounded up 10 showstopping floral pocket boutonnieres that will no doubt make your wedding outfit memorable! 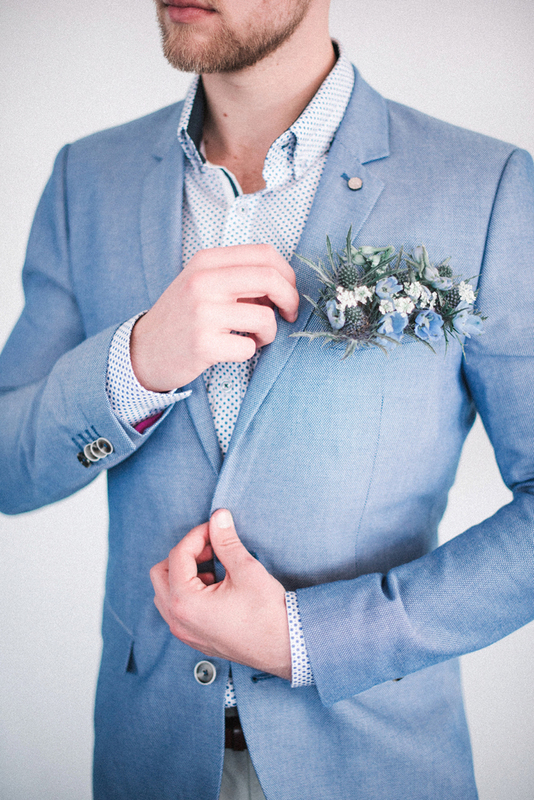 Blue thistle is a go-to boutonniere flower, and it looks great in a pocket boutonniere too! 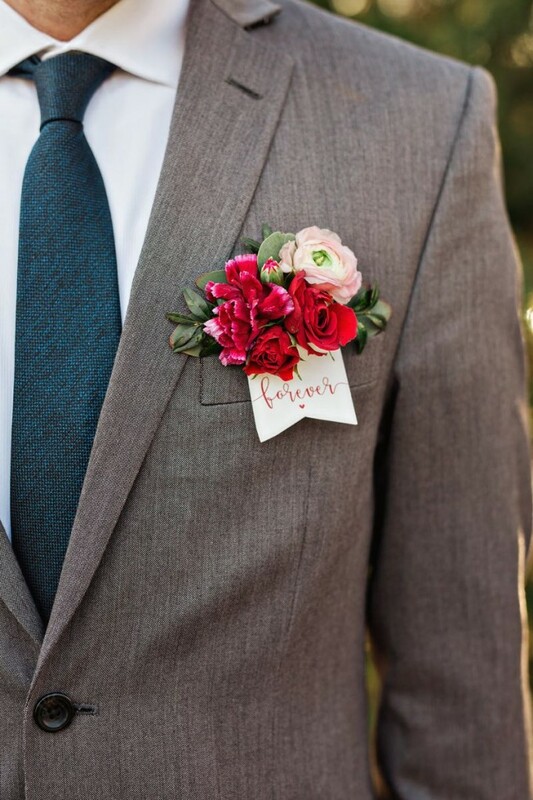 | photo by SLOtography | floral design by Flowers by Kim | via Love Inc. 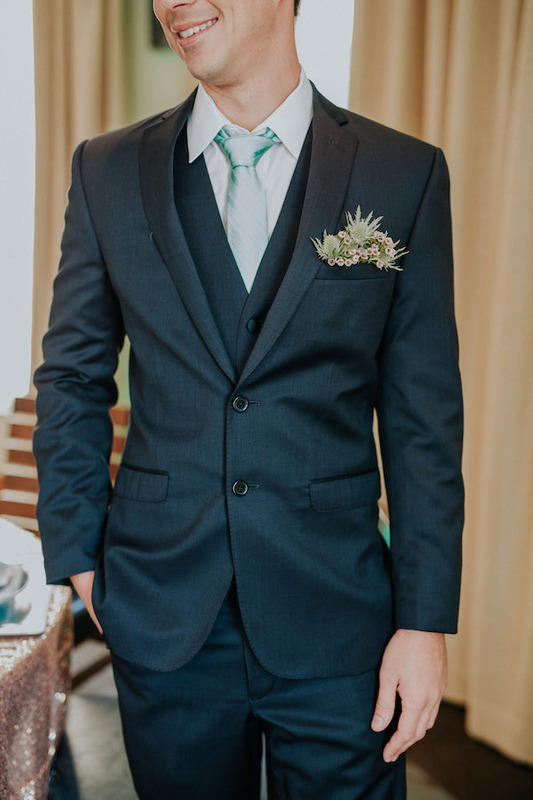 This colorful pocket bout adds a touch of color to a classic black wedding suit. 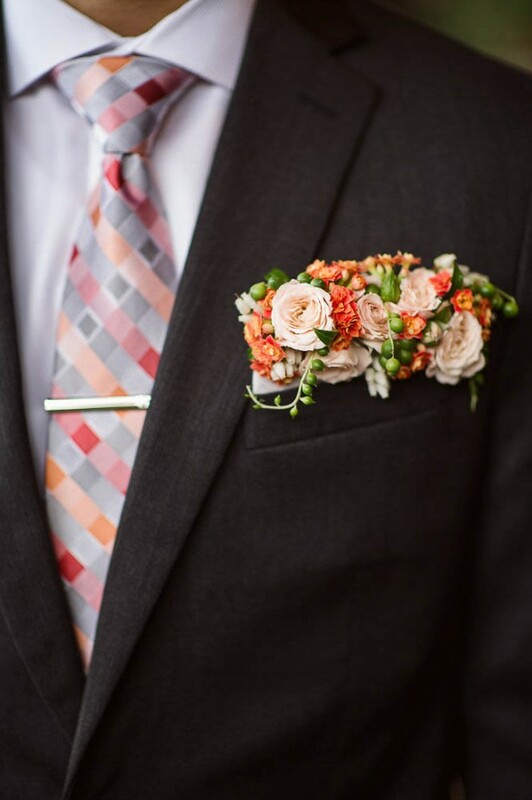 | photo by Sarah Olivia Photography | via Love Inc.
A pop of peach completes this dapper look. 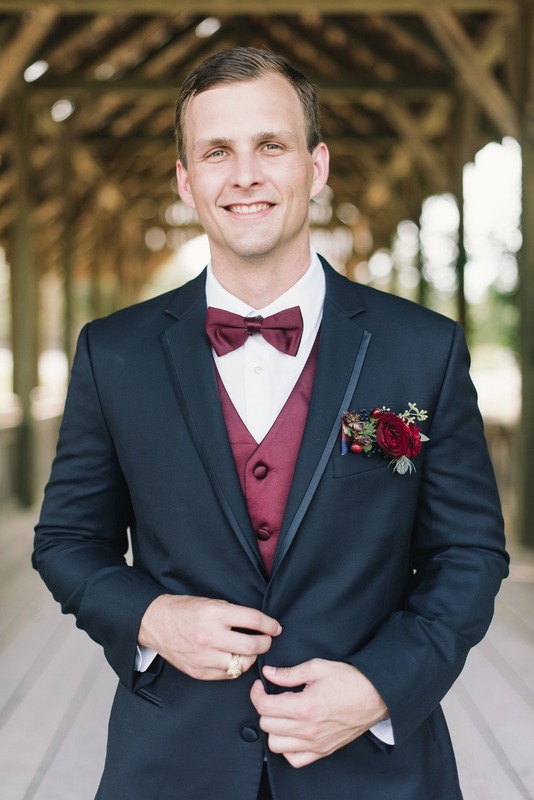 | photo by Megan Blowey Photography | floral design by Alexis Ireland Florals | via Love Inc. This eye-catching pocket bout features bright florals with striking textures. 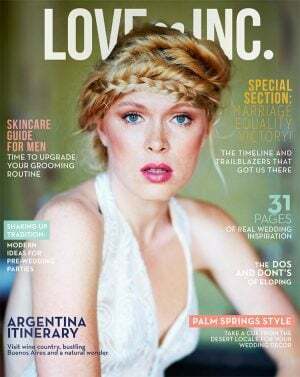 | photo by Janae Marie Photography | floral design by JMD Floral| via Love Inc.